Hey, so glad you here, 'cause that shows you're choosing to committed to your wellness with these powerful yet simple tools. Ready to get your hands on these highest quality essential oils? Yeah of course you can buy a few bottles at retail prices to see what it's all about. But I hate to see you pay more and miss the opportunity to save. Start here to build your wellness kit with the best essential oils on the planet. 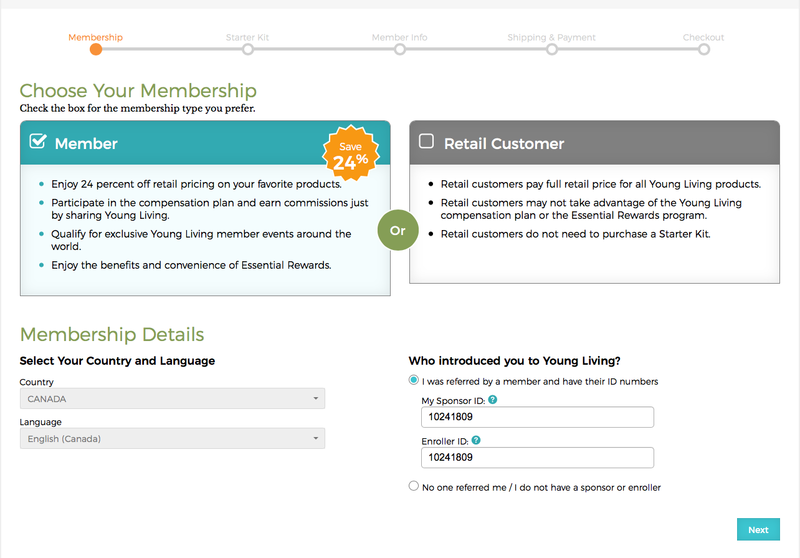 Click Here to learn how to get this over $399 value Premium Start Kit for a fraction of the price. Scroll down to see how to order and get 24% off your products. When you click on the ORDER link, you'll see the page below. The enroller and sponsor number are already filled in for you but if you're not from Canada, you'll have to select your country. Please note that all the prices listed here are in Canadian dollars, your currency will adjust to the Country you choose. Next, scroll down to Option 2 - Essential Rewards. I highly recommend getting started with Premium Starter Kit with the Dewdrop diffuser. 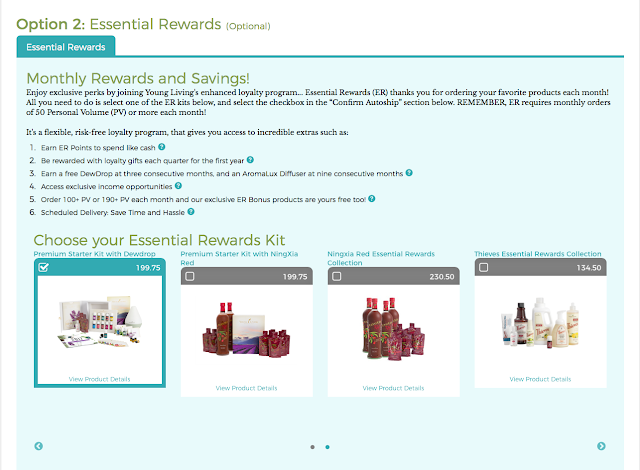 Another tip I'd like to share with you is to order it through the Essential Rewards Program because you'll get a lower shipping rate, can get FREE bonus oils and collect points with each product you buy so you can spend them on future purchases. It's a hassle free program you can cancel anytime. No questions asked! That's it! Finish filling up the rest of your personal details, make sure you write down your password and PIN number in safe and you are set. Please pop me an email HERE after you've ordered your kit, I'd also love to hear your story. I'm so excited to be part of your wellness journey and can't wait to provide you with resources and support to make sure you're exploring essential oils with confidence to better your health.